Kodi boxes come in many different shapes and sizes. In fact, there are so many it can be difficult to choose the right Kodi box. Often, people make their decision purely based on cost. The desire to save money creates problems. Many users just opt for a cheaply manufactured device (usually made in China). After all, there’s nothing special about a Kodi box, it’s just a set-top box running the Android TV operating system. So, why not? Sadly, the low-cost boxes from the Far East are frequently riddled with electrical issues. They’re just not safe to use. How can you ensure you’re not going to send your home up in flames? We’re going to explain why many Kodi boxes aren’t safe, and then show you how to check your Kodi box for electrical safety. Keep reading to find out more. the ultimate tool for cord-cutters—there’s a reasonable chance that your Kodi box is not safe from an electrical perspective. The discovery was uncovered by a non-profit group in the United Kingdom called Electrical Safety First. It’s a sub-division of the country’s Electrical Safety Council and is responsible for campaigning around issues about the topic. The group tested nine of the most common Kodi boxes found in the UK. Amazingly, it found that all nine failed its safety tests. For balance, it’s important to note that the tests were a joint venture between Electrical Safety First and the Federation Against Copyright Theft (FACT). However, given the results, we don’t think there’s anything conspiratorial at play here. Some recall notices have already gone out. In June 2017, the European Union issued a recall for a Chinese-made Android TV box amid reports its design left users at risk of electric shock. The OTT TV Box 4K had a faulty power unit which did not comply with the E.U.’s Low Voltage Directive. What Are the Electrical Safety Regulations? Electrical safety regulations vary around the world. Usually, they are based on one of two standards: The National Electric Code or the International Electric Code. In the United States, the National Electrical Code (NEC) is the document that outlines electrical safety and best practices. It attempts to codify the minimum requirements for safe electrical equipment. It is updated every three years. The code is not law at the federal level. Instead, it is up to individual states to implement it. If a state has applied the NEC, it is illegal not to follow the rules. At the time of writing, only Arizona, Kansas, Mississippi, and Missouri have not implemented the code. The code’s rules are complex and beyond the scope of this piece. If you’d like more information, check out the full document on the National Fire Protection Association website. Most of the rest of the world, including the United Kingdom and the European Union, uses the International Electrical Code. The British parliament has also passed various pieces of legislation to govern electrical equipment on a national level. The most recent update to the rules happened in 2016. If you’d like to learn more, you can download the Electrical Equipment Safety Regulations 2016: Guidance document from the government’s website. Okay, so now you know that some—if not most—Kodi boxes are potentially dangerous. However, that doesn’t help if you already have one in your home. So, how can you tell whether your device is safe? Just follow these five tips from the Electrical Safety First group. Lots of cheap Kodi boxes you find online—especially fully-loaded ones—will not have a brand name. This is because they’re white label products that are being manufactured for mere cents-per-unit in Far Eastern factories. Schedule 3 in the Electrical Equipment (Safety) Regulations 1994 states that a manufacturer’s brand name or trademark must be visible on the device for it to be sold legally. The CE (Conformité Européenne) marking is a certification mark. It indicates a product is safe to sell in the European Economic Area from a health, safety, and environmental standpoint. The FCC Label is the US equivalent. Many products made outside the E.U. and United States have the markings, especially if they’re going to be sold within the respective markets. A failure to see one of the two marks means that either a) the product failed the country’s electrical safety tests, or b) the product was never supposed to be sold in the respective locations and the seller is breaking the law in doing so. Note: There have been cases of forged CE and FCC marks. Don’t assume that your device is safe just because you see one. Complete all the other recommended checks. You need to make sure your device’s power supply unit can provide sufficient current for the device itself. If your box is trying to draw more current than your power supply unit can handle, you run the risk of starting an electrical fire. Even in a best-case scenario, you’ll kill your power supply. For example, if your box tries to draw 2 amps at 5 volts, but your power unit is limited to 1 amp, you’re quickly going to run into issues. To ensure you’re not at risk, check that the amps and volts on your power unit match the box itself. If you live in the U.K., you’re in luck. British plugs are the safest in the world. Even so, for the safety features to work, you need to ensure there is at least a 9.5mm space between the three prongs and the case of the plug. If the gap is less, you risk getting an electric shock when connecting and disconnecting the device. But if you’re device’s plug doesn’t match your country’s socket, you can still use the device. You just need to buy a local power converter that a) offers the same plug shape, and b) can provide the correct amount of power. You need to be aware, however, that there is no fail-safe way to use a different shape plug in your local electric supply. Buy a new cable which can plug directly into your device (such as a cable with a figure-of-eight connection). Replace your entire power adaptor with one that’s correct for your location. Lastly, try to remember whether your device came with full documentation. By law, all products sold in the European Union and North America all need to come with instructions about safe use, the limitations of use, and how to dispose of the device safely Do You Know How to Dispose of Your Old Electronics? Do You Know How to Dispose of Your Old Electronics? Getting rid of electronics isn't as simple as just taking them to the landfill and leaving them. Read More . We know a few of you will have immediately groaned as soon as you read that FACT were involved in the study. And while there could be an ulterior motive to the research, the facts remain true. 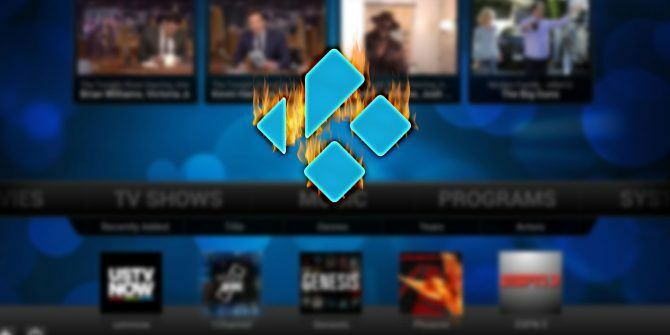 The group tested nine of the most common Kodi boxes in the UK and all nine failed. We’re not going to debate the rights and wrongs of using Kodi for illegal purposes, but you would be wise to pay heed to the findings, especially if you have a cheap fully-loaded Kodi box sitting in your home. The risk of not doing so is just not worth it. 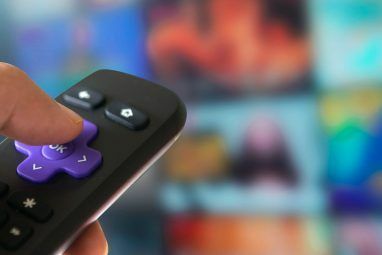 If you’d like to learn more about the legality of streaming content on Kodi, check out our list of online resources explaining copyright law Confused About Copyright Law? These Online Resources Can Help Confused About Copyright Law? These Online Resources Can Help It's a confusing subject, yes, but it's important that you wrap your head around it. If you're involved in any sort of creative work, these resources will help you do just that. Read More . 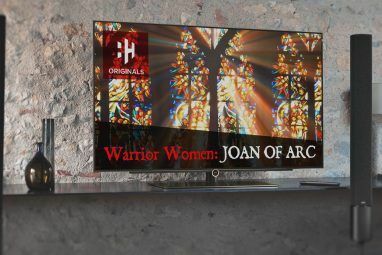 Explore more about: Kodi, Media Streaming, Personal Safety. Kodi is software, the boxes you refer to are Android devices, nothing to do with kodi unless you install the kodi software! Labelling them Kodi boxes is wrong and misleading, and to be honest downright libellous. Great to hear. Thanks for your hard work.